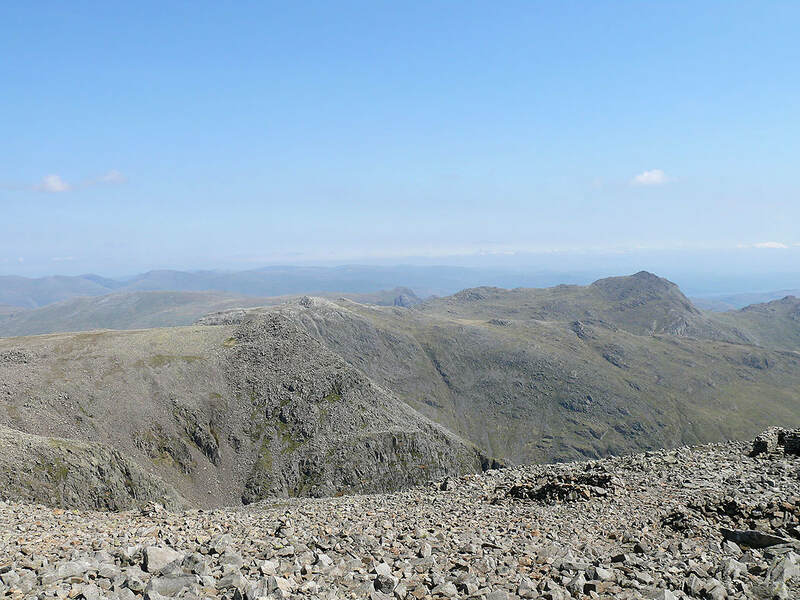 A beautiful day for an ascent of Scafell Pike. 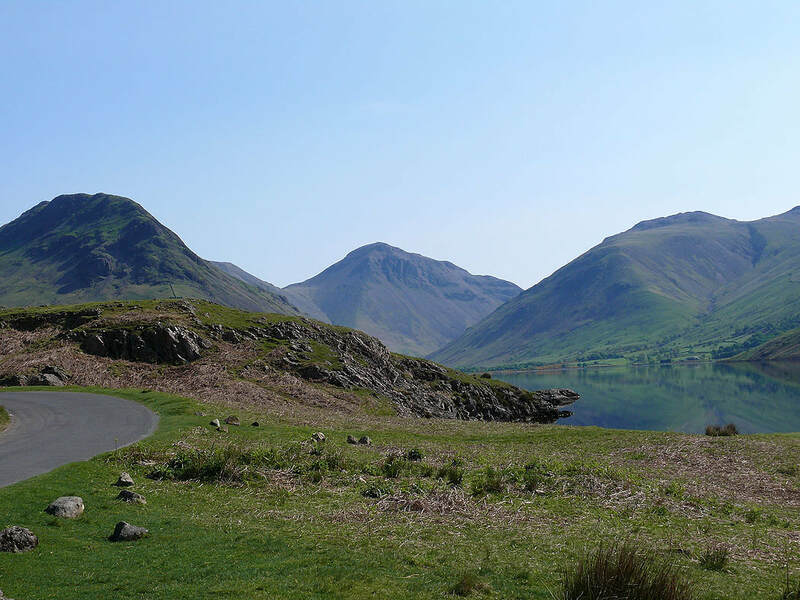 From the car park at Wasdale Head I took the path to Lingmell Gill to make the ascent to Mickledore and then Scafell Pike. 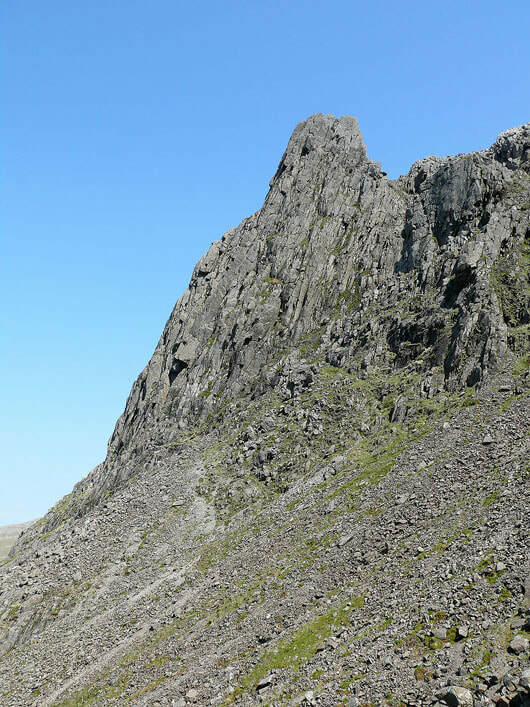 I then made for Esk Hause with detours along the way to Ill Crag and Great End. 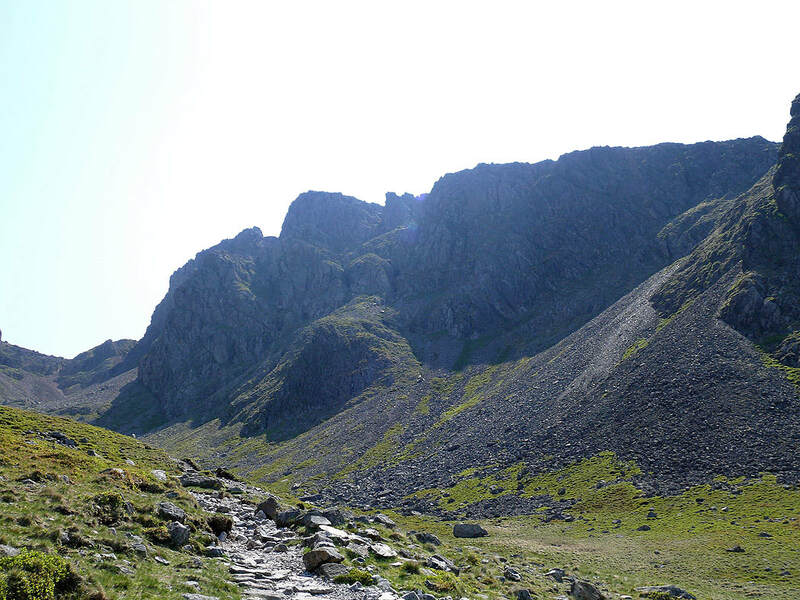 My route back was down to Esk Hause, past Sprinkling Tarn to Sty Head and then down Lingmell Beck to Wasdale Head. 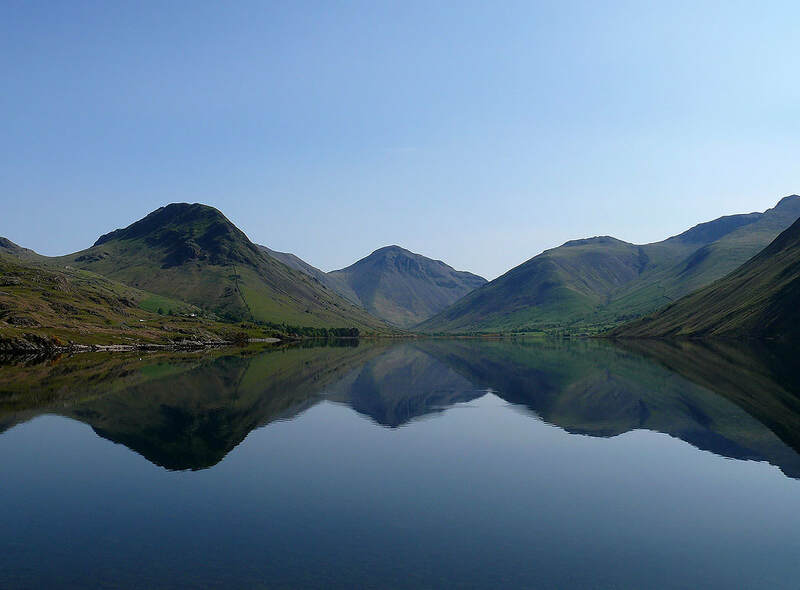 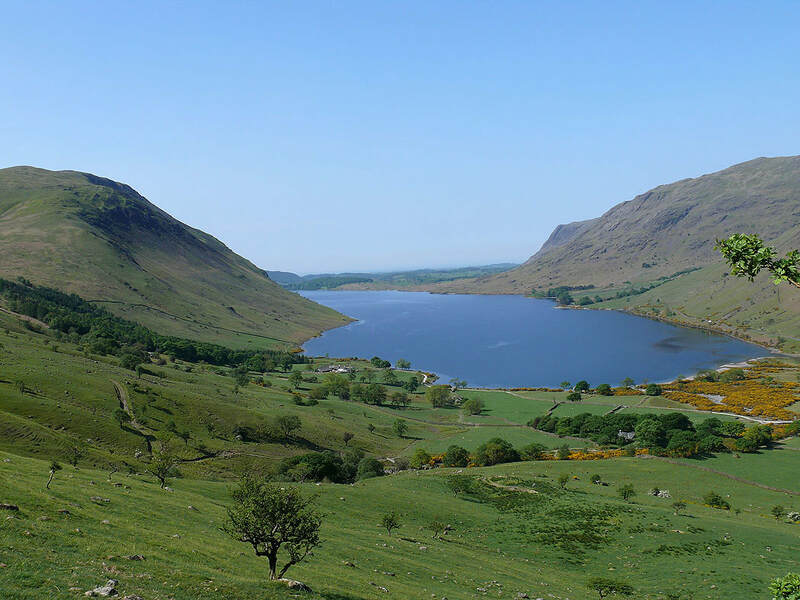 On the drive into Wasdale and I had to stop and take a picture of the view..
From Wasdale Head I've taken the path to Lingmell Gill to head for Hollow Stones. 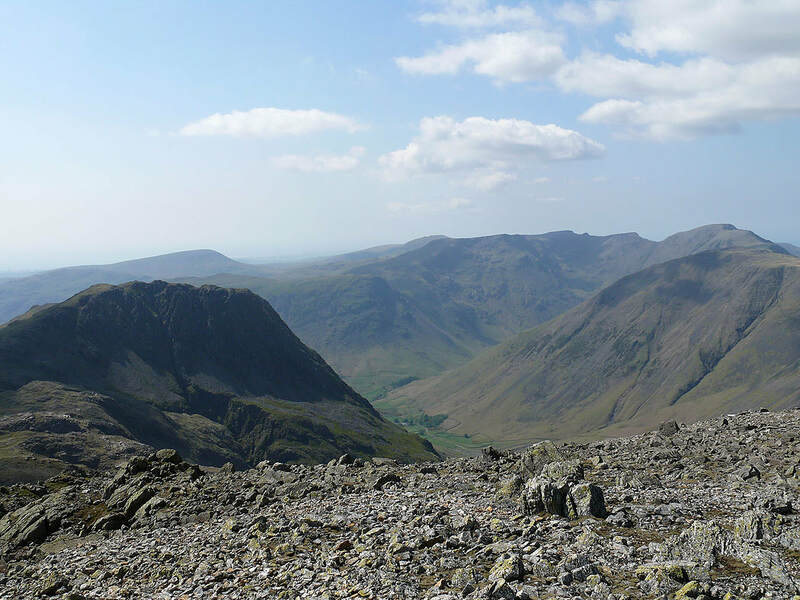 The view back down to Wasdale Head. 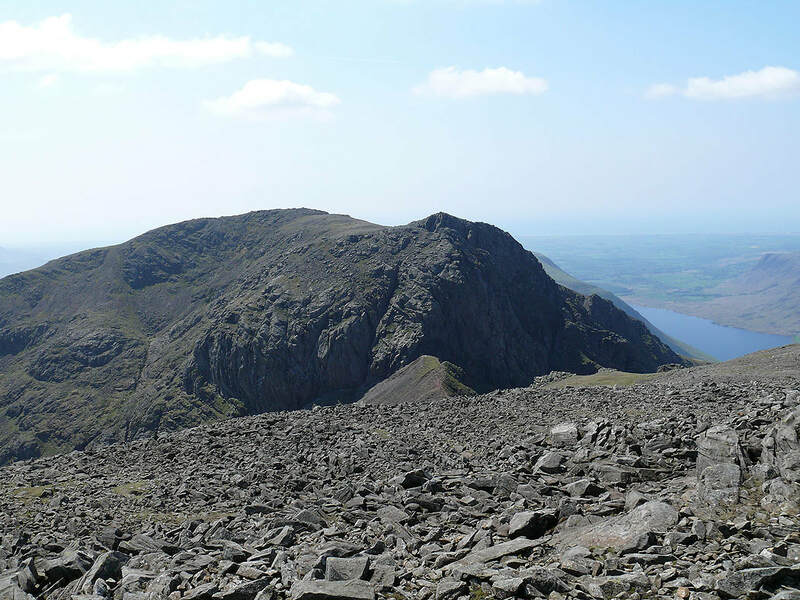 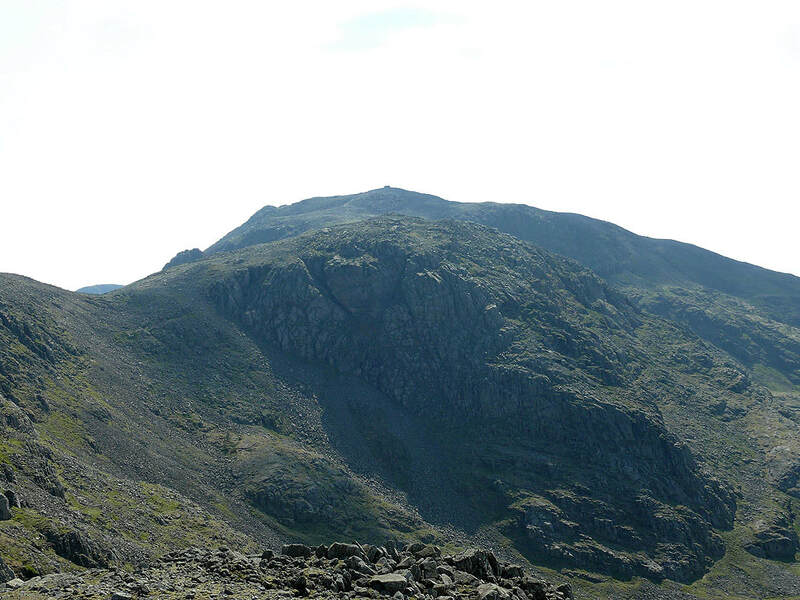 Scafell Crag. 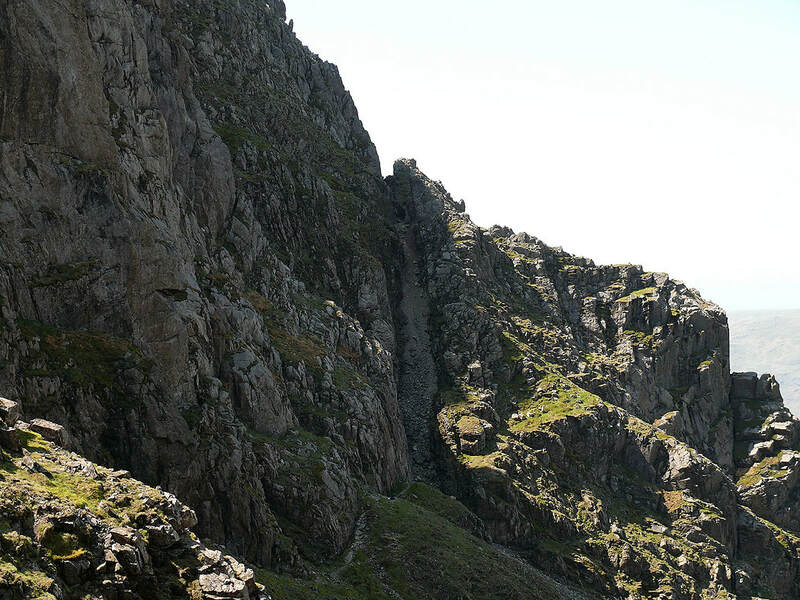 Where the path splits for Lingmell Col I decided to take the branch for Mickledore. 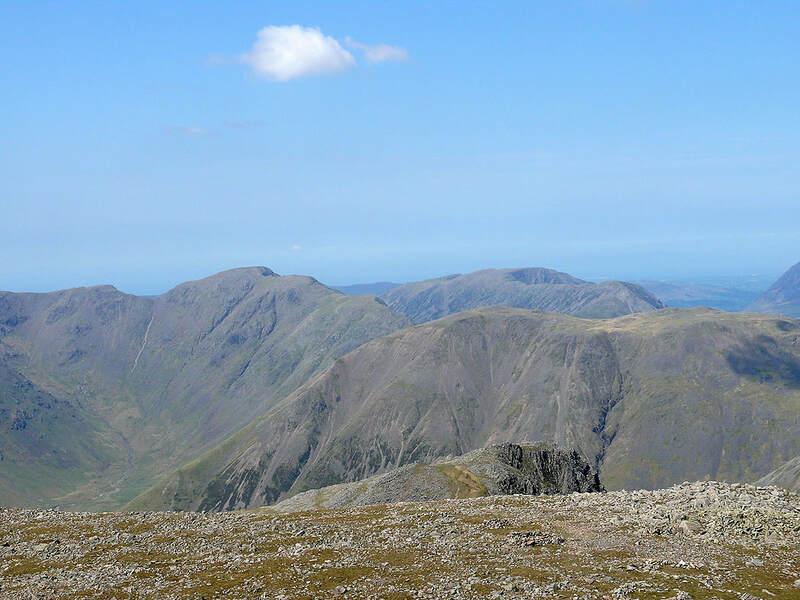 Almost at Mickledore now and the view across to Pillar and the Mosedale Horseshoe. 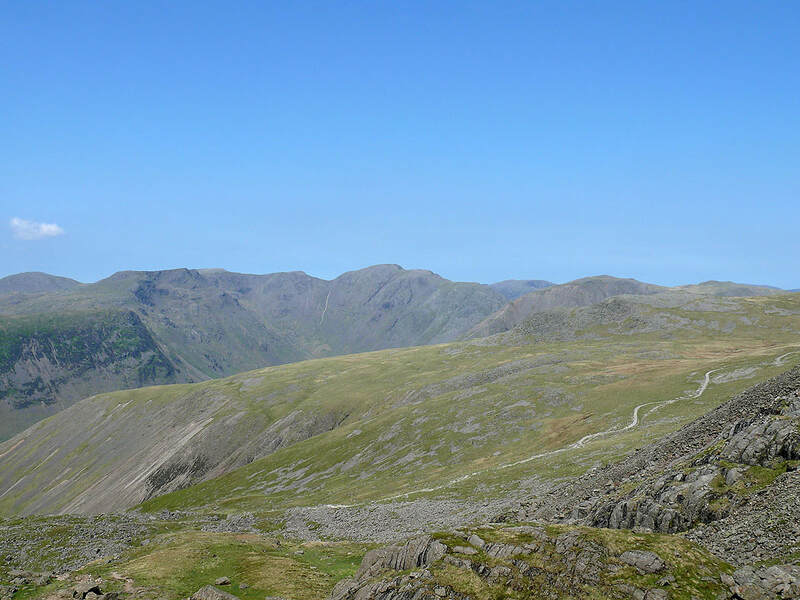 The obvious path below is heading for Lingmell Col.
Views from the summit of Scafell Pike. 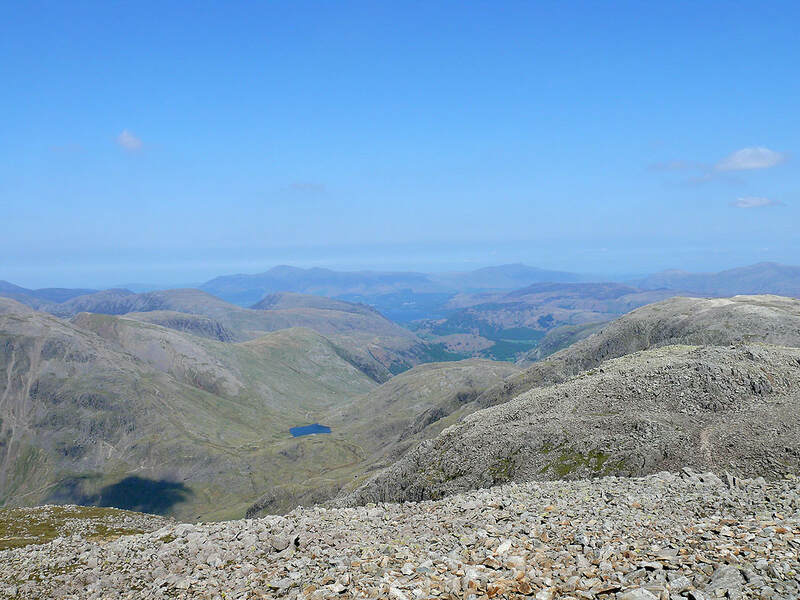 North over Styhead Tarn and Borrowdale to Skiddaw and Blencathra. 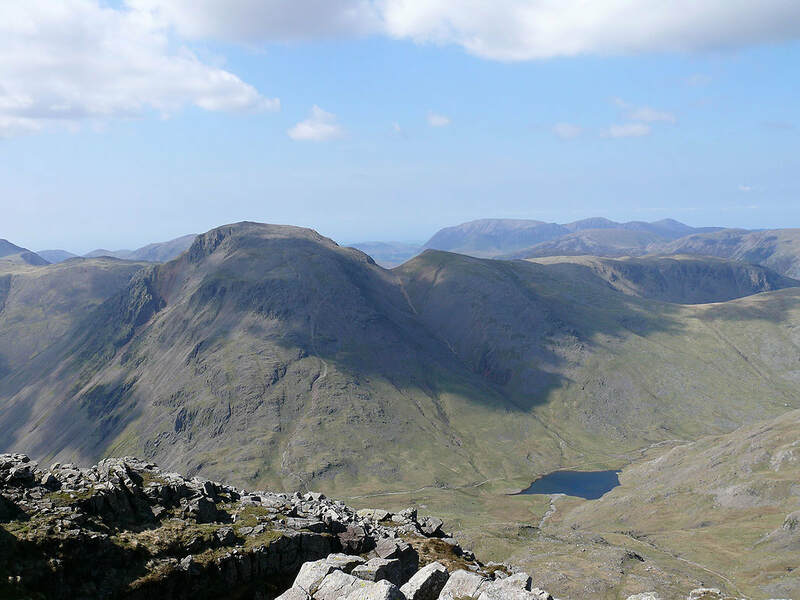 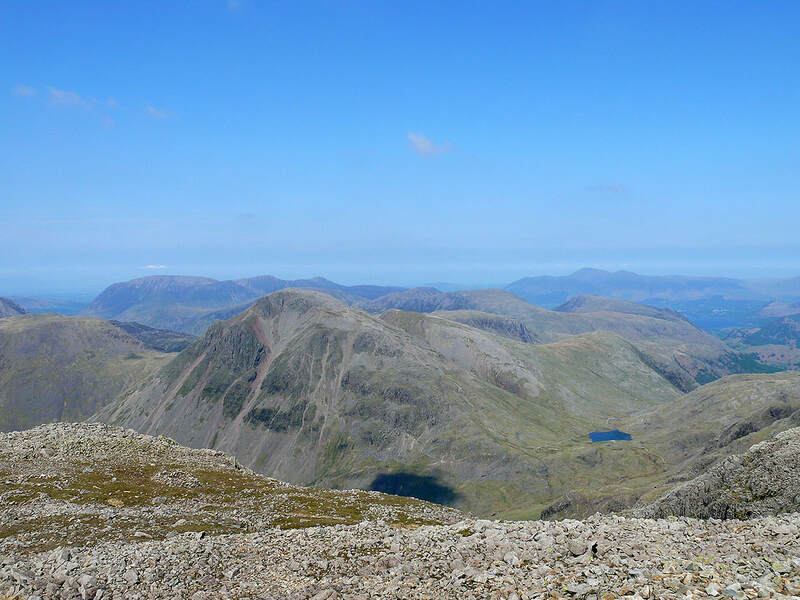 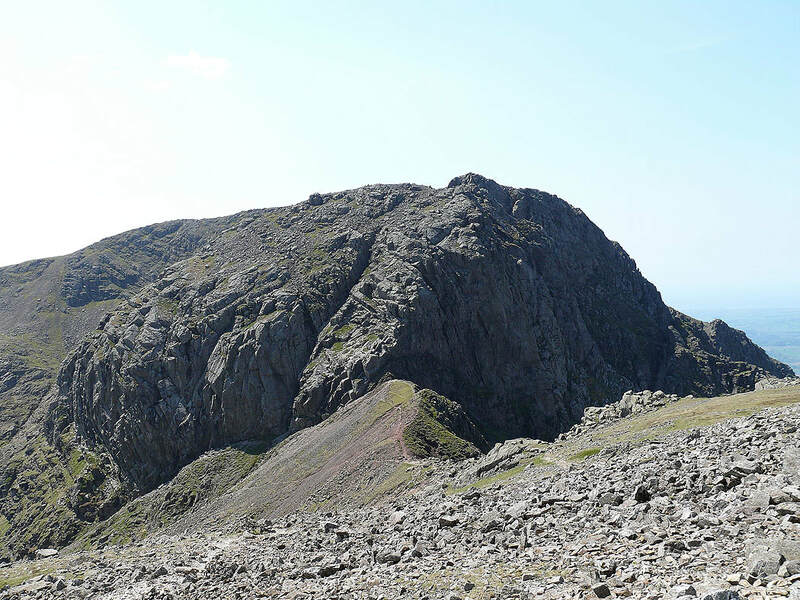 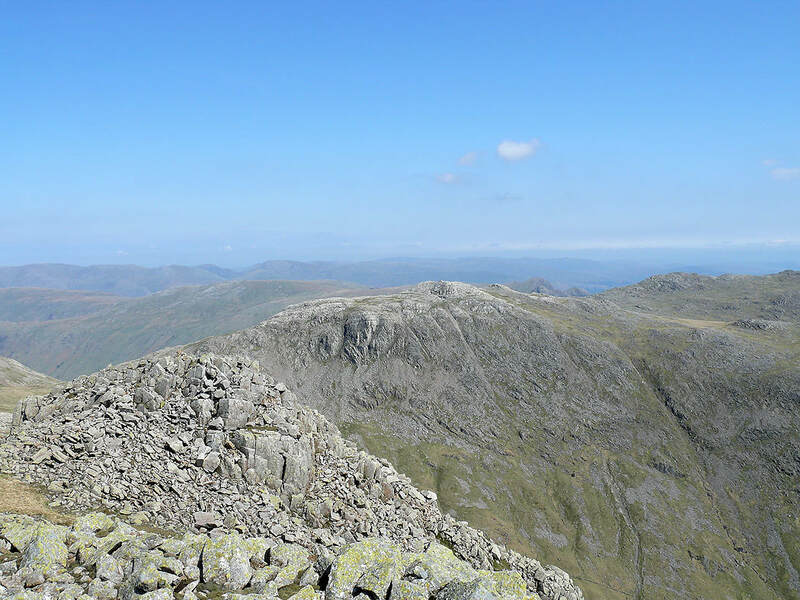 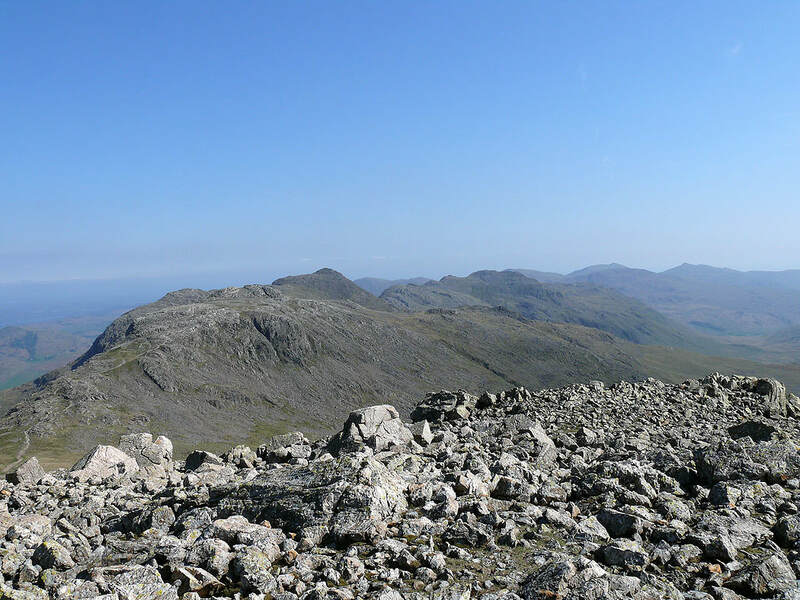 The rest of the Pikes of Scafell, Broad Crag, Ill Crag and Great End. 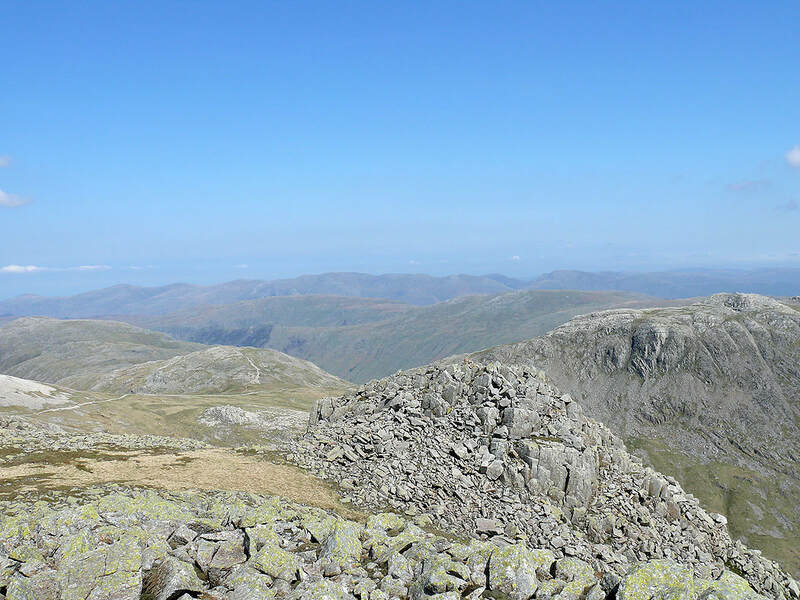 The Helvellyn range and Fairfield in the distance. 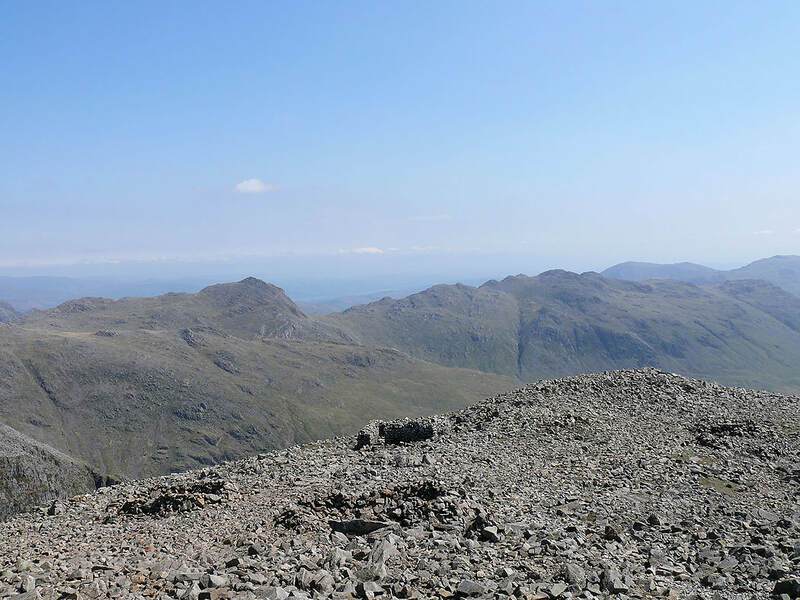 Next stop from Scafell Pike was the top of Ill Crag. 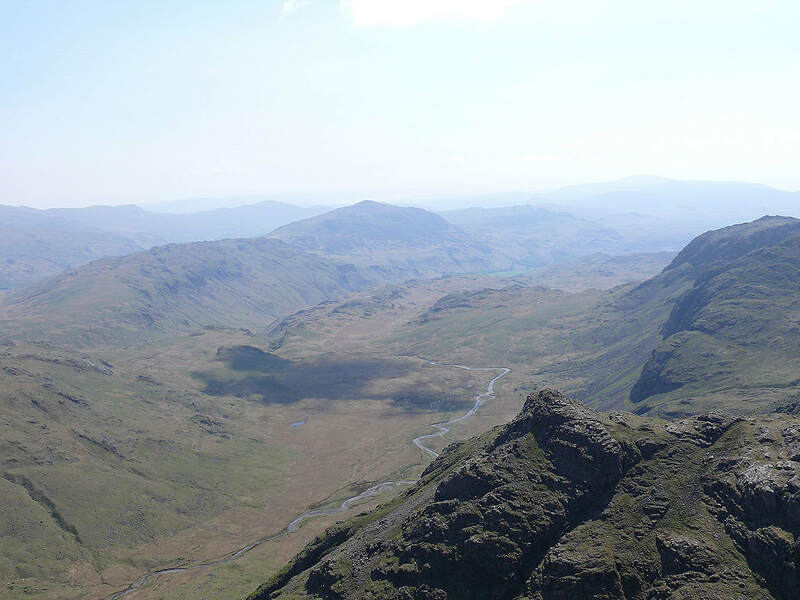 It's a detour from the main path that heads for Esk Hause but worth it for the views down and across upper Eskdale. 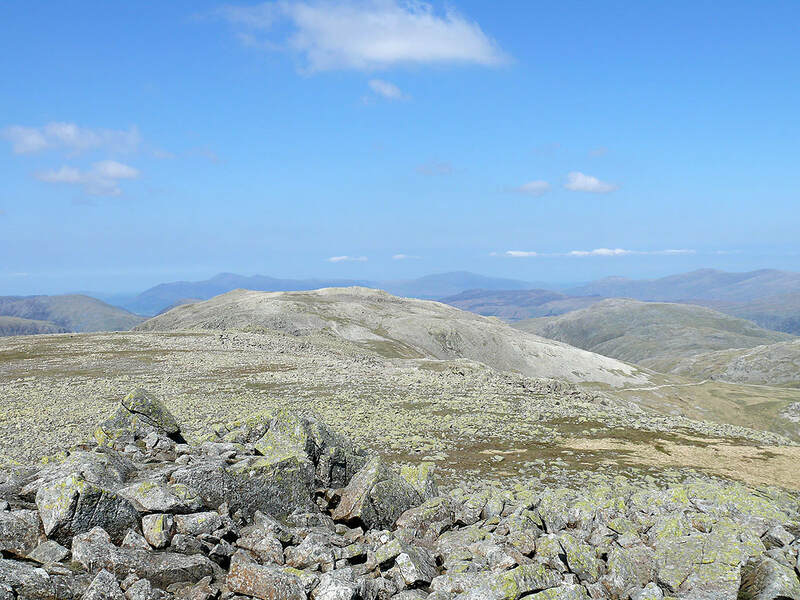 Here I'm looking across Great Moss to Harter Fell. 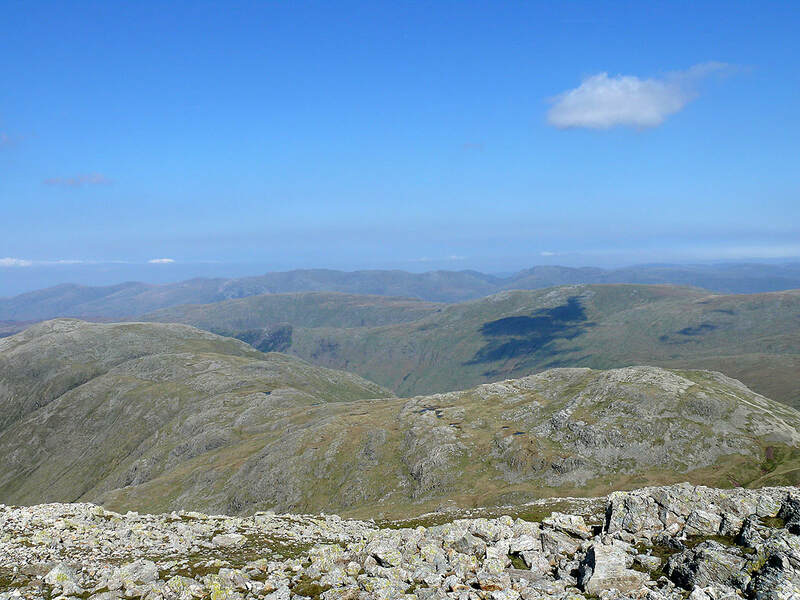 On the final summit of the day, Great End. 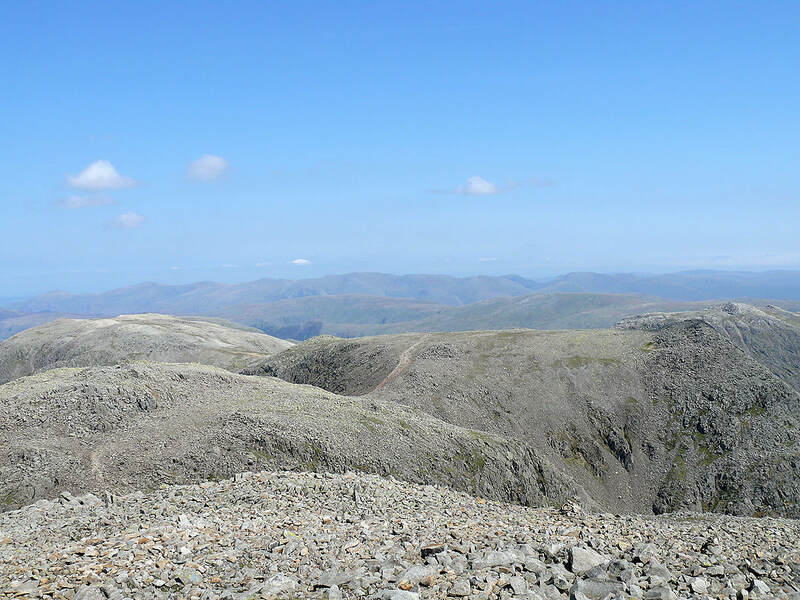 The view includes Lingmell on the left with Seatallan above and then Red Pike, Scoat Fell and Pillar. 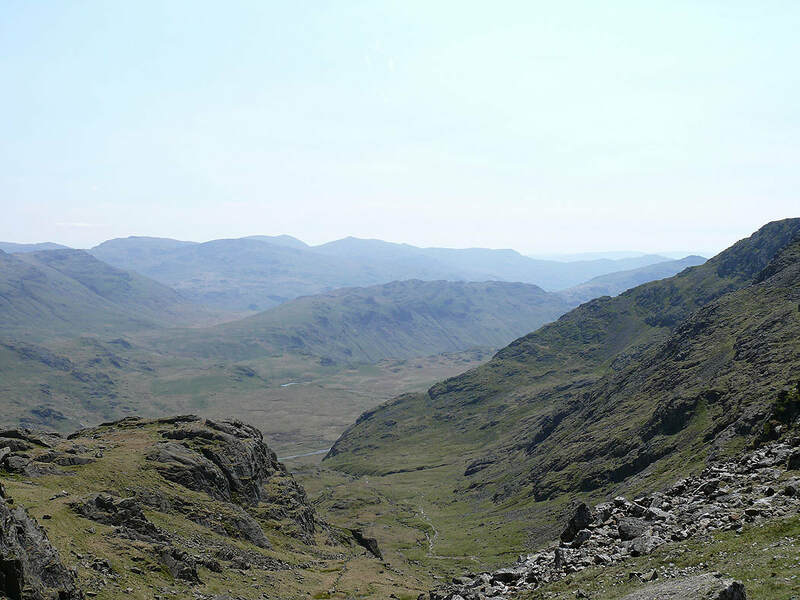 A great view from Great End. 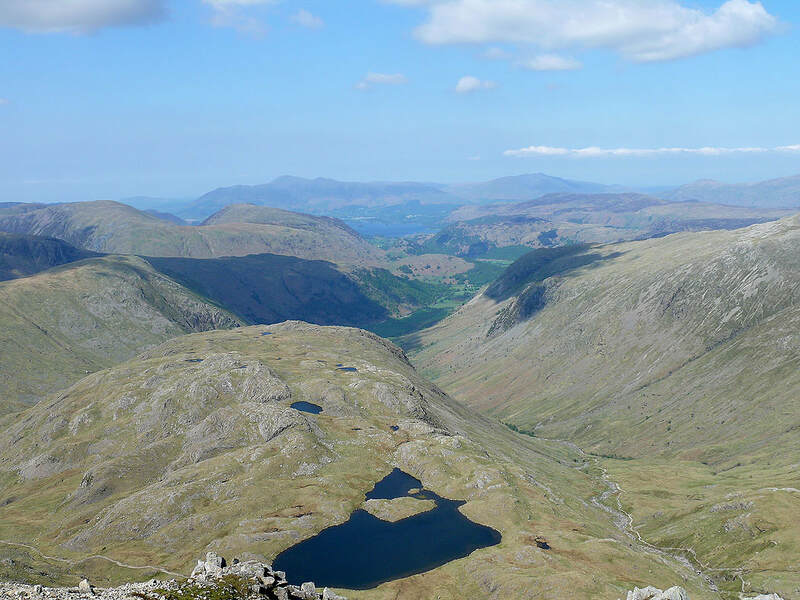 Seathwaite Fell and Sprinkling Tarn below, then down Borrowdale to Skiddaw and Blencathra. 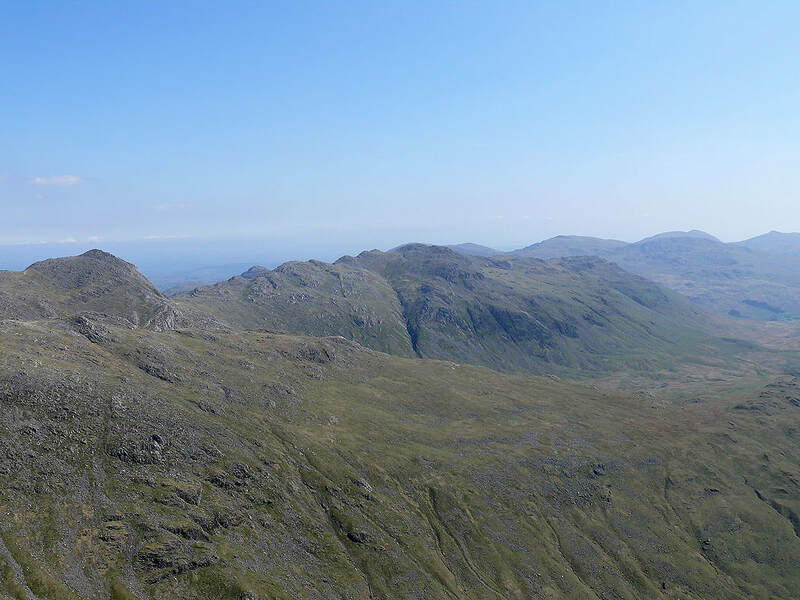 The last shot of the day is of Esk Pike, Bowfell and Crinkle Crags. 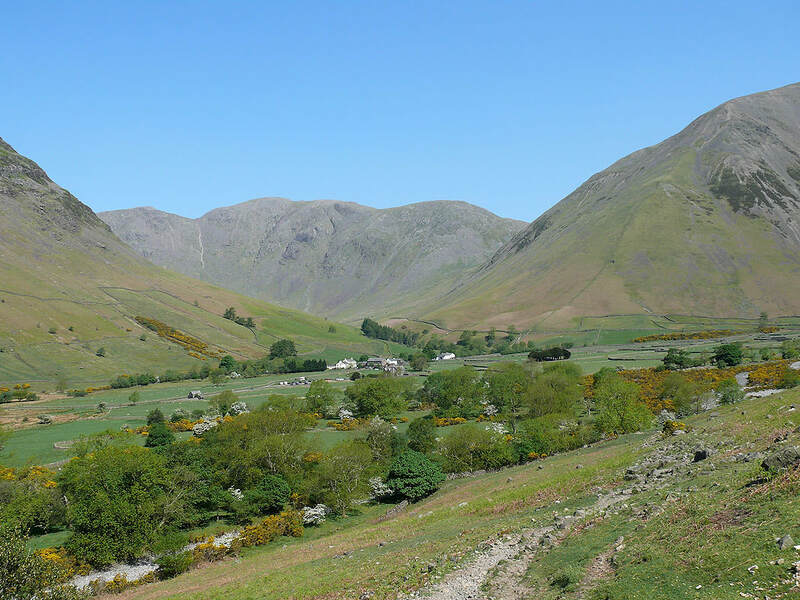 Now for the long walk down past Esk Hause to Wasdale.